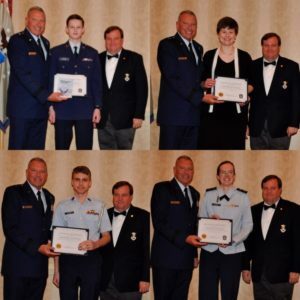 In April, four cadets were honored for their essays on character and the core values during the annual banquet of the Virginia Wing of the Civil Air Patrol. Making the presentations were Chaplain (Brig. 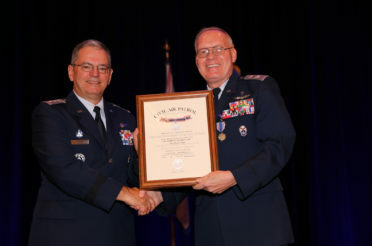 Gen.) Steven Schaick, USAF, and wing commander Colonel Dean Gould, CAP. 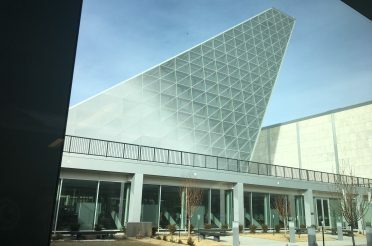 The cadets feted were: Cadet Technical Sgt. Carter Harrison, Cadet Master Sgt. 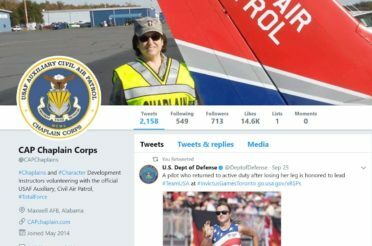 Clara Harrison, Cadet Chief Master Sgt. Corwin Turner, and Cadet 1st Lt. Cory Moon. 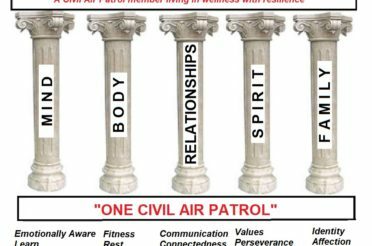 At the combined wing and region conference on 4 April 2017, the Civil Air Patrol’s Virginia Wing awarded the first prize for its inaugural cadet essay contest on character and the core values to Cadet Technical Sgt. Carter Harrison. The prize was an autographed copy of a book on ethical leadership which inspired the event. The military officer who wrote the book, “Sharing Success Owning Failure: Preparing to Command in the Twenty-First Century Air Force” was General David L. Goldfein, the Chief of Staff of the United States Air Force. 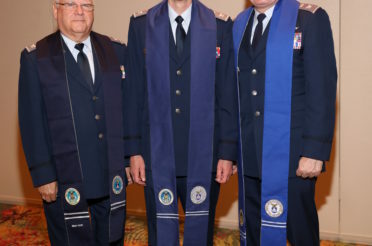 The prize was given at the conference banquet by Deputy Chief of Chapla ins of the USAF, Chaplain (Brigadier Gen.) Steven Schaick, USAF, and the wing commander, Colonel Dean Gould, CAP. Schaick began his USAF career as a CAP cadet in the Wisconsin Wing and now serves on the air staff working under Goldfein’s leadership. 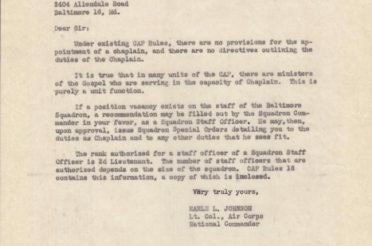 On 18 May, the Fredericksburg Composite Squadron cadet, received the final installment of his prize– a handwritten note of congratulations sent directly to his home from Goldfein. 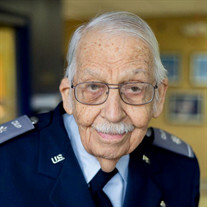 Harrison was one of many CAP cadets who voluntarily submitted essays on the importance of character and the core values for future leaders of the United States. 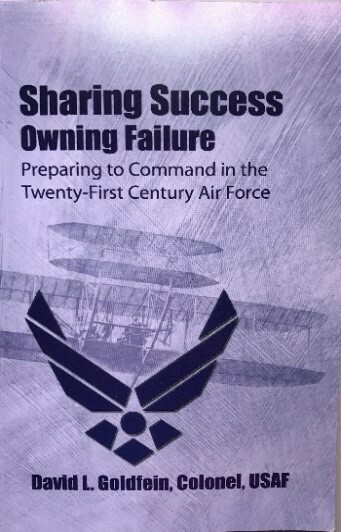 A team of chaplains and character development instructors from the wing under the leadership of Captain Carla Warnock, a CDI from the Coastal Composite Squadron, formed the panel of judges who read and rated each essay for its ethical presentation and clarity of expression. All judging was done without knowing the author. Harrison’s essay was judged the best of all those entered. 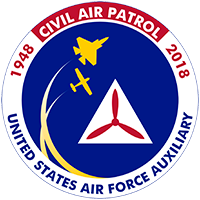 The cadet also received a letter from the Chief of the Chaplain Corps of the Civil Air Patrol, Chaplain (Colonel) James “Jay” Hughes, CAP. 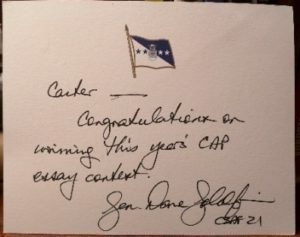 The chaplain believes that “character development is the fundamental commitment CAP makes to the quality of life of its members and the country.” In his letter to Harrison, Hughes thanked him for his “willingness to contribute to the moral growth of the members and the organization.” Quotes from the essay contest are already used in social media posts. 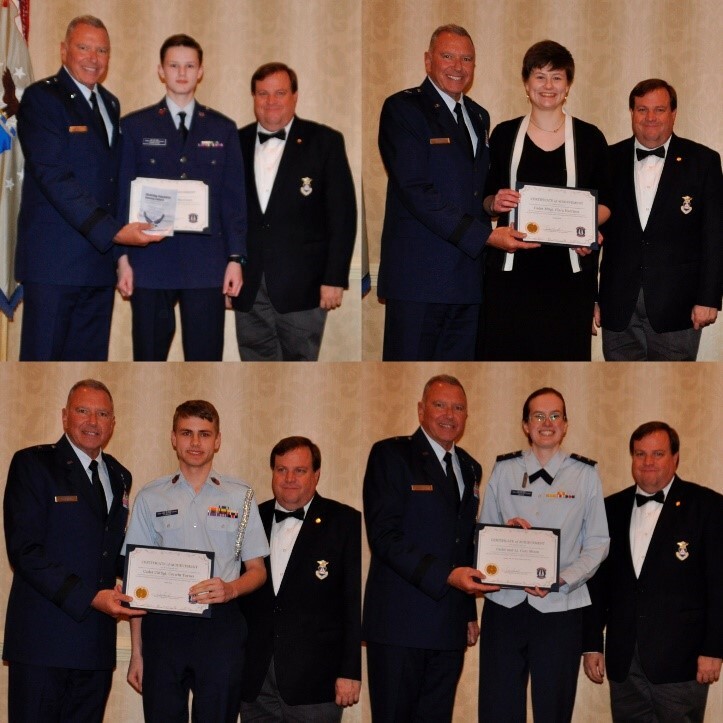 Schaick and Gould also presented certificates, recognition coins and letters from Hughes to three other cadets, Cadet Master Sgt. 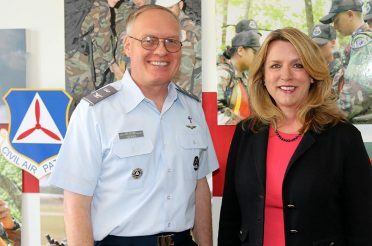 Clara Harrison, Cadet Chief Master Sgt. Corwin Turner, and Cadet 1st Lt. Cory Moon. Moon received the first “Chaplain (Major General) Robert Preston Taylor Prize” for her essay and for her example of living the core values.